I hope you all had a great if not restful weekend. Mine was pretty low key. 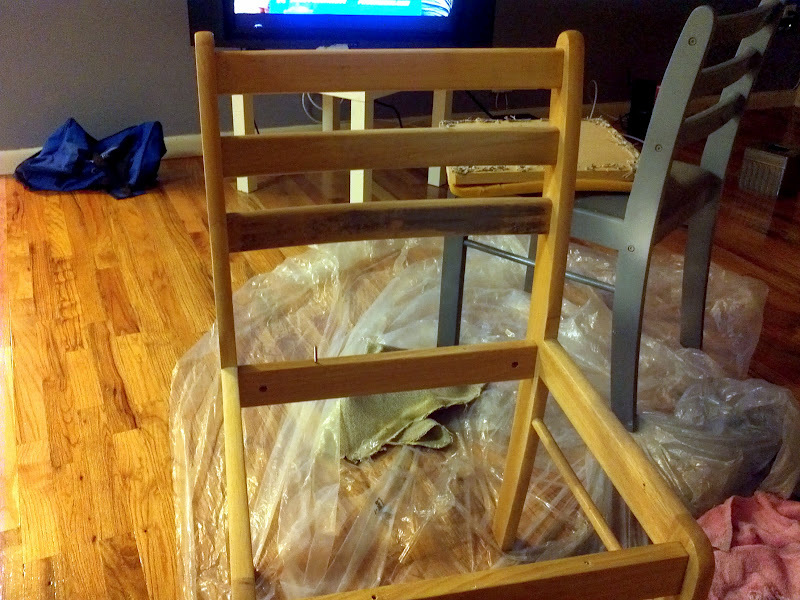 I painted my dining room chairs and table (thrift finds), assembled my new bed and ended the weekend with a playdate at Prospect Park and quality time with my guy. The weather gods listened to us here in NY and blessed us with some much needed summer weather that lasted only the weekend as it is raining cats and dogs out today. 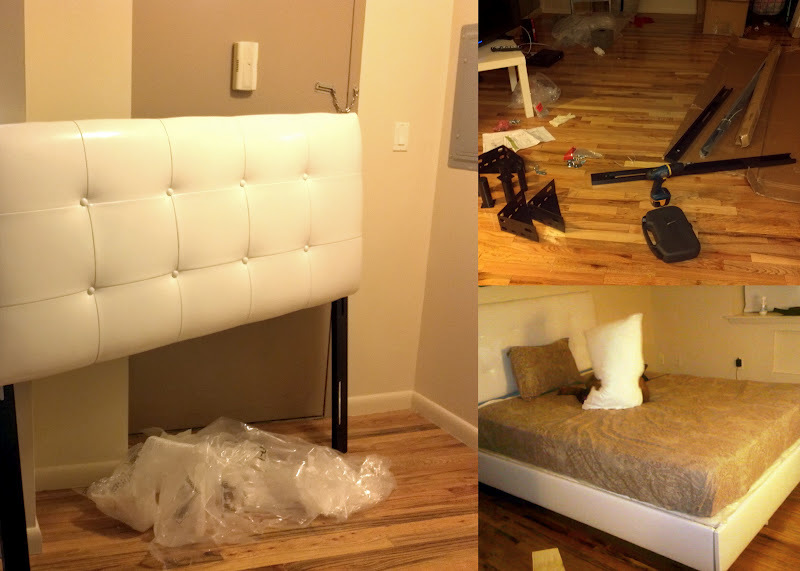 I assembled my upholstered bed myself… 2 1/2 hrs later SUCCESS! Loving the sheer top…and the little ladies are giving me life! So fashionable and cute! Also, can't wait for the home decor page…right up my alley. Thanks Ms Reign. I was iffy bout top at first, but love it now! Those two are my lil princesses-one a fashionista in the making while the other more of a hipster lol. Ive been editing videos and pics so i can have posts ready for you guys. Thanks so much for reading and commenting! Wouldnt you believe it I scored it brand new in plastic and foam from the goodwill??!!! It was donated by a interior designer. She ended up not using it. I looked it up, it's a $700 and up bed and I got it for less than $200!! Thanks for reading! The babies are working it!